As a licensed psychotherapist for almost 13 years, interior design has been integrated into the therapeutic process for many of my clients. From decluttering to understanding the impact of color on emotional responses, I have become very intimate with design and redesign. I am now transitioning into this new business, which allows me to reach a new genre of clients while using my God-given abilities to accomplish the same goals. Good design breeds healthy emotional homeostasis. Interior design has been such an important part of my life since I was 9 years old, and I love elevating a client's home in ways they never even realized they wanted! Welcome to BeYoutiful Design. We are a client-centered business that focuses not only on aesthetics, but also on evoking the emotions that people want to achieve in their home. Each space tells a story and serves a different purpose. Understanding these things, sends people on a journey of discovery. Discovering their own design, style and even their authentic self. From the tightest of budgets to complete and total financial freedom, no one is left behind at BeYoutiful Design. We can stage it to sell it, or design it to love it. Contact us today and we can start the process. 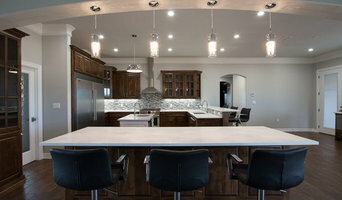 Residential and commercial interiors throughout Texas since 1976. 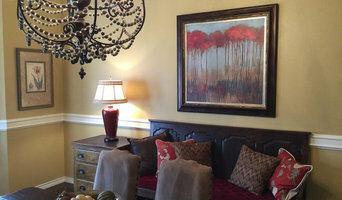 My mission is to create custom interiors that uniquely suit my clients' style, personalities, functional needs, and budget while providing excellent customer service and attention to detail. Over the last 30 years my work has been featured in many international and regional publications. Presently located in East Texas after over 25 years in Austin and 2 years in Los Angeles (1988-1990) where I was affiliated with the Beverly Hills architecture firm Sopha Design. My artistic education began at the age of 6, at which time I began private art lessons that continued through High School. I am an honors graduate of the University of Texas at Austin with a Bachelor of Arts degree. Two summers were spent in Spain at the University of Madrid and a small private school in La Granja where I studied classical European styles of interiors, art, and architecture, as well as Spanish. Included were many excursions throughout Central Spain and a brief time in Paris. These studies enhanced my knowledge and appreciation for both classical and modern European art forms. Our business is to help our clients redesign and decorate their homes and offices using their existing furnishings and accessories or shopping for them according to their design budget to refresh and create an updated living space that will be cozy and beautiful. 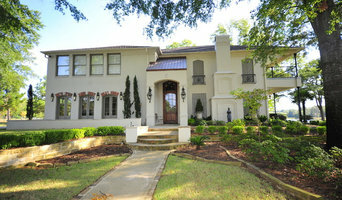 We also specialize in special event decorating, including holiday and wedding decorating/floral arranging. 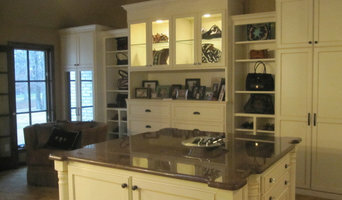 Time to upgrade your kitchen appliances, countertops or cabinets? You don’t have to be an interior designer or a handyman. Lowe’s can handle that remodel you've been putting off. We offer design services to make kitchen, bath, and full home remodeling a snap, from choosing what to buy to maximizing your layout for both large and small kitchen remodels. The cost to remodel kitchen and bath features and appliances may be less than you think. So come in to your local Lowes and ask to speak with their in store interior designer TODAY!